Ensure your bag is full of wonderful goodies and no nasty tricks with Lush’s collection of Halloween smellies. We can’t get enough of the range of bath bombs and will be indulging in a magical bath with Monsters’ Ball, £4.50 and Lord of Misrule, £9.95. Bath time has never been so bewitching! It takes a lot of ingredients to make a powerful potion and the same is true of any ghoulish gathering, which is why Poundland’s monster mash of products have us howling with joy. The Metallic Pumpkin Tea Light Holder, £1 is the perfect way to create an enchanting mood to enjoy a pumpkin juice from a Day Of The Dead Glass Mason Jar, £1. Heading to a haunted castle to do the time warp? Well, you’ll need an outfit glamorous enough to stand out from the crowd! Pairs has a fang-tastic collection of costumes all you glamorous ghouls will love and we can’t get enough of the Girl’s Rose Day of the Dead (£18) and Boy’s Clown Costume (£15). As with all good costumes, it’s all in the details and a tube of fake blood can make the difference between a gorily good or terrifyingly terrible costume. Claire’s Halloween Make Up range gives you the ability to transform into anything. From a statuesque vampire, scary zombie or this year’s favourite – It, the possibilities are endless with their Horror Flesh, £4.50, Liquid Latex, £4.50 and Fake Blood Tube, £3.50. Topshop also has a selection of accessories that would make Morticia Addams green with envy and we think this Floral Veil, £12 will be the crowning glory of our costume this year. If a night in is more your thing, can we recommend diving into one of Waterstones classic horror stories? From Stephen King’s The Shining, £7.99 to Edgar Allan Poe’s The Tell-Tale Heart, £12.99 there’s something all horror fans will love. So turn down the lights and get stuck in…if you dare! 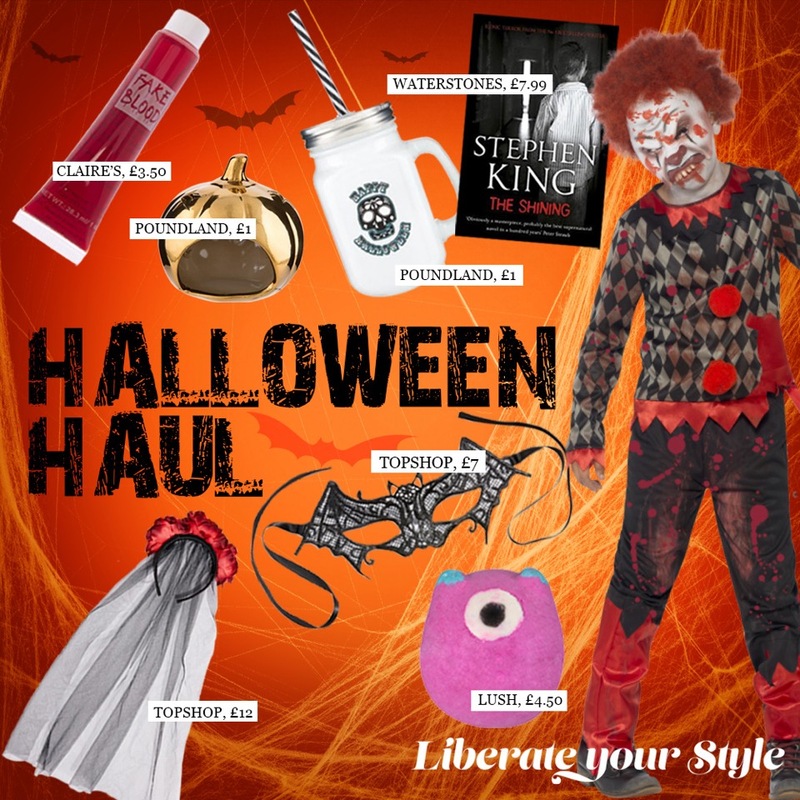 To share your Halloween looks with us, head to our Facebook, Twitter or Instagram pages now.